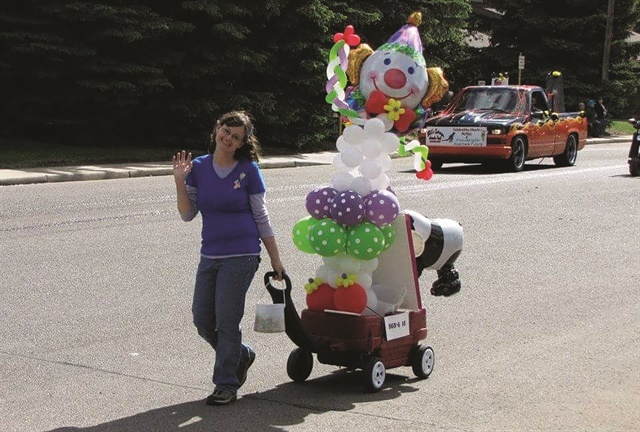 The hardest thing about being a balloon artist, says nail tech Lynda Langille, is that she’s had to sacrifice her long, gorgeous nails. 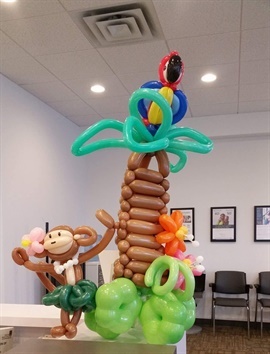 The hardest thing about being a balloon artist, says nail tech Lynda Langille, is that she’s had to sacrifice her long, gorgeous nails to keep the popping to a minimum. “I can’t believe I haven’t popped more balloons with all the different nail shapes and lengths I’ve worn. I’ve found it’s especially important to keep my right thumbnail short or my nail bed will hurt from tying the knots,” she says. 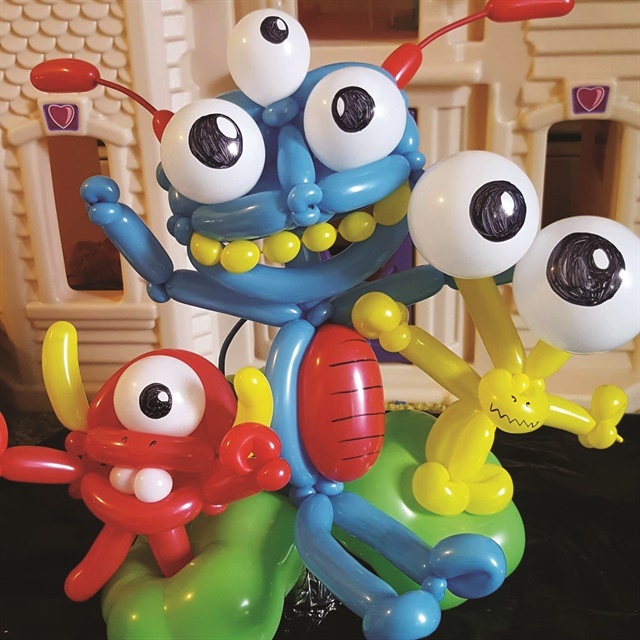 Langille, owner of A Twist of Colour Nails in Brooks, Alberta, Canada, learned the art of balloon twisting from a friend. “She showed me 10 easy designs, then I started watching YouTube to expand my knowledge. Now I love balloons,” she says. It’s making centerpieces and gifts that really allows her creativity to flow. “Last Christmas I started stuffing clear balloons with candy and incorporating them into larger balloon creations,” she says. “Since then, I made a stork carrying a balloon full of diapers for a friend’s baby shower, stuffed nail polish and candy into a girl’s birthday gift, and worked with a local coffee shop to add chocolate-dipped strawberries for Valentine’s Day.” Her goal is to make a wearable balloon dress someday.